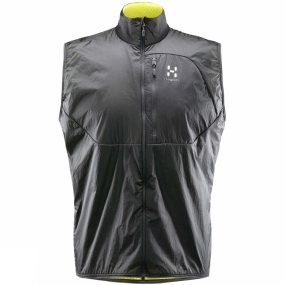 The Mens Proteus Vest from Haglof is an optimal lightweight insulation piece, made to manage the challenges of mountaineering, with an interesting design. Provides core protection as well as moisture management, through its special waffle-structured high loft lining. Fluorocarbon-free DWR adds peace of mind.